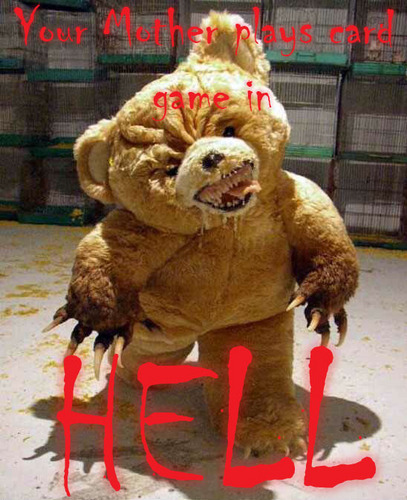 ZOMG It's the Satanist teddy bear! haha its the teddy bear from the smosh video! What a cute teddy bear! I wish i had one.